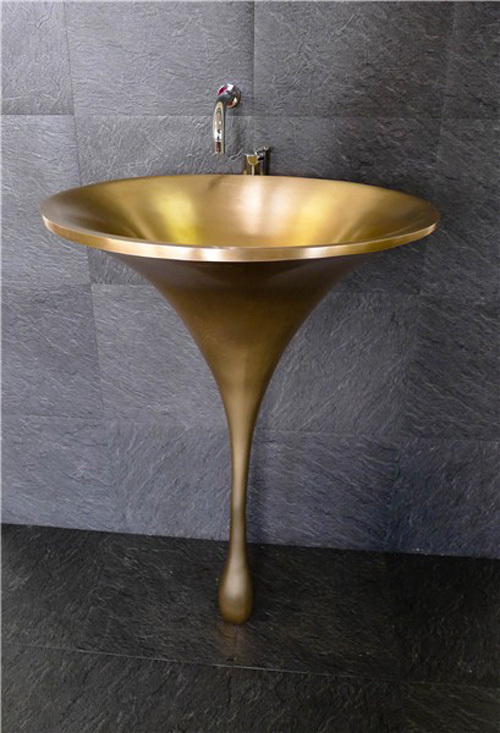 The highly unusual and stunning bathroom sink called Spoon by Philip Watts Design is sure to cause some intrigue. This UK based design firm has created many original design ideas and home decor products and worked on many interior designs especially in the bar and restaurant sector. Therefore, it is no surprise to see such dramatic and visually interesting interior design, such as this bronze sink, coming from this studio. From the shape to the color, this is a stunning piece sure to phenomenally enhance any contemporary bathroom of any design homes. Visit Philip Watts Design for more info on interior decoration and house design. These lovely lamps by Myyour will make your designer homes more stylish in a snap. 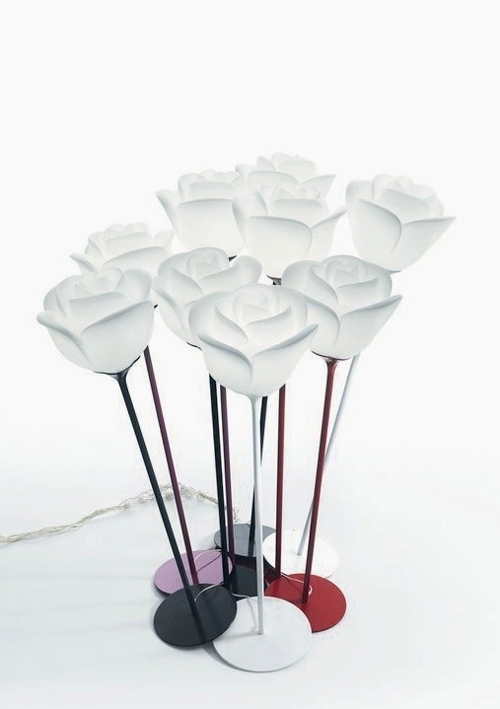 The Baby Love lamps, shaped like a stylized rose, can really enhance a room by providing decorative as well as a calm ambient lighting. The lights are available as floor lamps, ceiling or wall lamps or even as outdoor lights to suit your home decor as well as the outdoor space of your beautiful homes. Baby Love suits a contemporary or modern interior design – offering a dash of stylishness with a lovely touch. Check out Myyour for more information interior decoration and home design. This cozy stove Dot by Bullerjan is the perfect stylish companion to savor those cozy moods and special moments at your designer homes. The stove has an industrial charm about it. It comes in different colors and is available in various heights to suit the interior design of your beautiful homes. Its gestaltist character, superior quality and exceptional materials make it a unique, modern piece to enjoy for a long time. 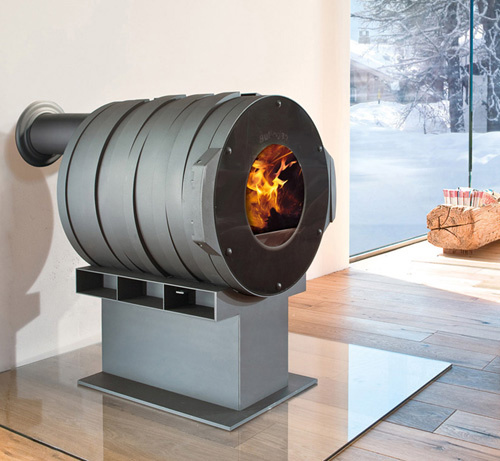 The technology and the design ideas behind the stove results in very low fine particle and CO2 emissions. Looks good and not bad for the environment equals practical perfection. Find out more about interior decoration, house design and other home decor products at Bullerjan. Off the top of our head (pun intended! 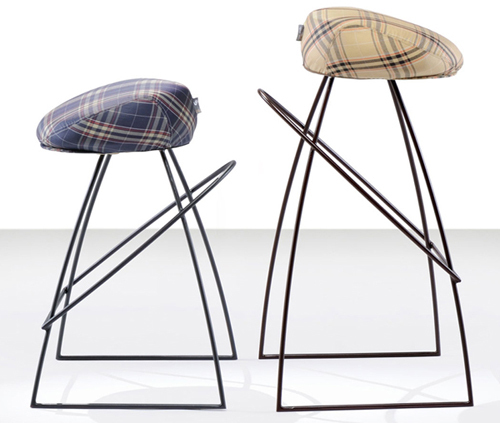 ), we can think of three reasons the Picciotto cool bar stool by Fabio Vinetta is a must-have, starting with its unusual chapeau-inspired seat. Call it what you will – the paper boy, drivers cap, derby, cheese-cutter or paddy – we call it “awesome”! Like its inspiration, this modern bar stool is a casual “personality” piece for your designer homes. This brings us to the second reason we love this cool stool – comfort. Available in a bar stool and countertop stool design ideas, you can add instant ahhh to the kitchen, breakfast bar or another type of bar that serves up something a little stiffer than eggs and coffee! Last but not least, the Picciotto bar stool comes in a full range of colors and patterns, and like a hat that you wear, these stools reflect your sense of style. Hats off to this one! For more information on interior design and other home decor products, click here. Like its namesake, the Icarus smart faucet by Gattoni soars to new heights – of style and technology in your designer homes! 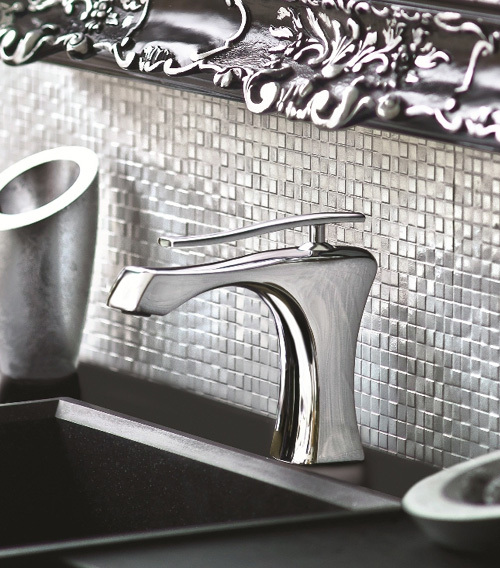 The Italian company explores a new tap-construction technique – two parts, consisting of the body and a mounted handle, each with a different look yet complementing each other with their gently undulating curves accented by the high-polish chrome finish to suit any kind of interior design. In addition to its sophisticated aesthetic attributes, this bathroom beauty has brains too! The smart faucet design ideas optimizes water flow (which is 12 liters per minute) and can cut your water consumption by up to 30 percent, doing its part for the environment and your wallet. The faucet comes in the washbasin, bath and shower models, offering a coordinated look for all your bathroom needs. Check it out by visiting Gattoni and also find out more home decor products. An exotic, artisanal delight suspended overhead, these modern macrame light shades by Aussie company Satelight make a fab focal point in the interior design of your designer homes. The Weaver light shade line was not only inspired by, but also hand-crafted by a macrame artist; its diffuser woven from nylon rope, boasting an organic shape, design ideas and an elaborate motif that manipulates light and casts complex shadows on its subjects below. These pendant lights make a marvelous addition to a minimalist space – instant pattern against a neutral backdrop. Or add a cozy touch to your living room or den. 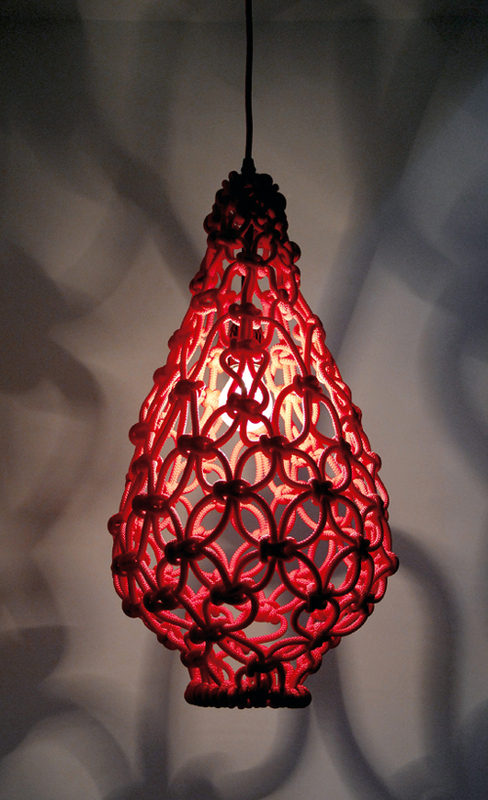 The Weaver macrame shade designs are available in black and red, and measure 550mm in height and 270mm in diameter. For more information on interior decoration, home design and home decor products visit Satelight. This contemporary Italian bathroom collection by Lasaidea brings the edge back into the bath. 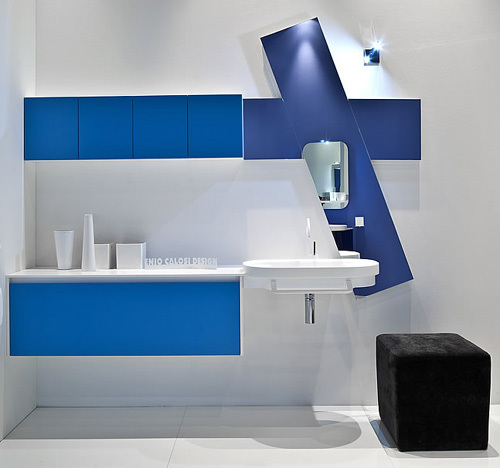 These modern, modular lines include bathroom furniture and accessories – cabinets and drawers with oodles of storage space; sleek countertops with separate or integrated washbasins, as desired to suit the interior design of your designer homes; mirrors; lighting; and all the extras to complete your bathroom’s look and function. This Italian company’s collection is an interior designer’s dream, available in 50 glossy and 50 matte colors, and the choice of 10 different wood varieties. 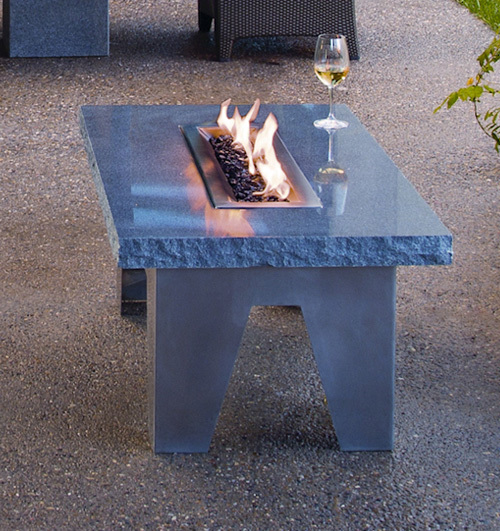 Choose your pieces, finishes and configurations, and let your imagination run wild! Check out this new collection by visiting Lasaidea. With this upholstered stackable sofa by Felicerossi called Mumble, you can really keep your options open and let your creative juices flow in your designer homes. In fact, the idea behind the stackable Mumble is to redefine how we think about seating. Because of its modular quality, the pieces can be put together to suit the needs of the space and the dynamics of the movement taking place in the space to suit your interior design. ‘Sofa against the wall’ days are a far away memory. No matter how large or small or awkwardly shaped your space is, this sofa will somehow fit. And being so modern and stylish, how could anyone resist? Visit Felicerossi for more info on interior decoration, house design and home decor products. 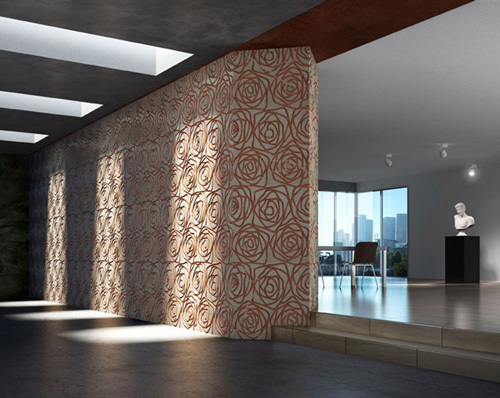 Decormarmi are passionate about marble and this marble tile with design ideas of stylized rose is clearly a result of this. Marble is a classic material that is synonymous with elegance, but this rose design really gives the tile a contemporary feel to suit the interior design of your designer homes. You can use the tile as a finishing or as flooring and you can be certain that your interior design will be defined by an impressive and unique expression. Classic yet modern, elegant yet bold, this tile is not easily forgotten. Visit Decormarmi to learn more about home design, interior decoration and other home decor products. 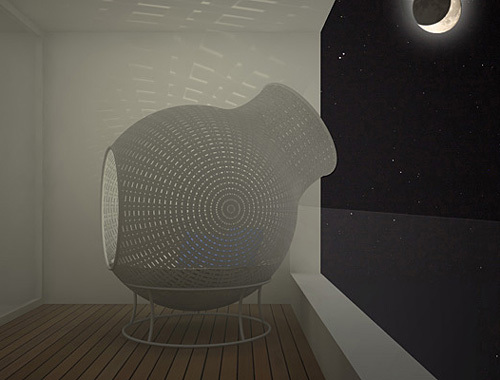 It was with great passion that Claudio D’amore created the Kosha chair we see here. 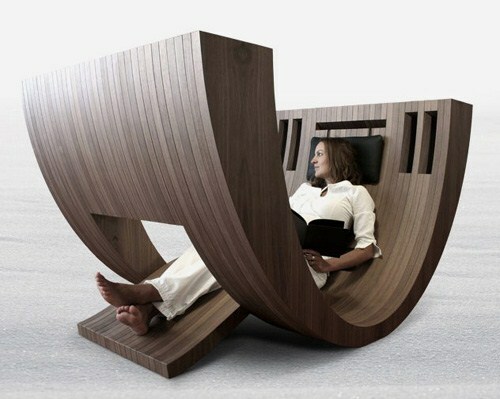 With this chair, design ideas and wellbeing are strongly connected. Essentially, Kosha is not jus a chair, but a space. More specifically, a reading space. 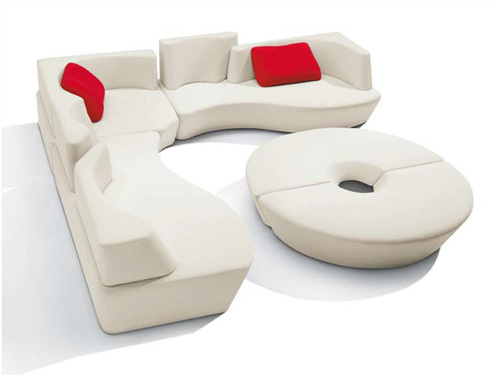 Its precise ergonomic design ideas allows for a seated retreat among your favorite literature in your designer homes. It’s almost like stepping into a special wooden vessel that promises ‘me time’ filled with relaxation and entertainment and suit your interior design. This piece is waiting to be placed by a huge window in an open space, in a contemporary study or even in a garden. It is also waiting for its designated spots to be filled with books and for a lucky person to have a seat. If you can imagne yourself as that person, check out Kosha in more detail for more on interior decoration, house design and other home decor products. 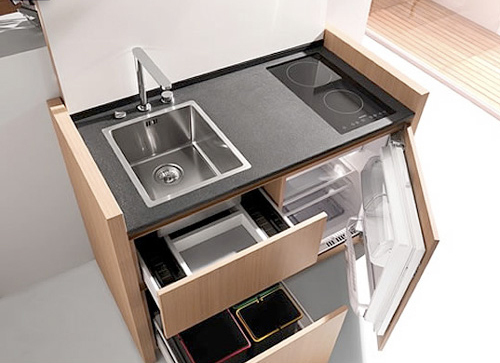 We love small space solutions and this mini kitchen by Kitchoo is super compact and hyper-equipped. Almost too good to be true, right? So many of us are looking for space saving furniture, smart design ideas, minimal living that suits the interior design of your designer homes. This mini kitchen may be the key to a lot of our space and design dilemmas. Of course the piece is not only highly functional, but also very stylish. Better yet, when everything is tucked away, it looks like a simple piece of furniture, you’d never guess there was a kitchen in there somewhere. Go to Kitchoo to learn more about interior decoration, house design and other home decor products. 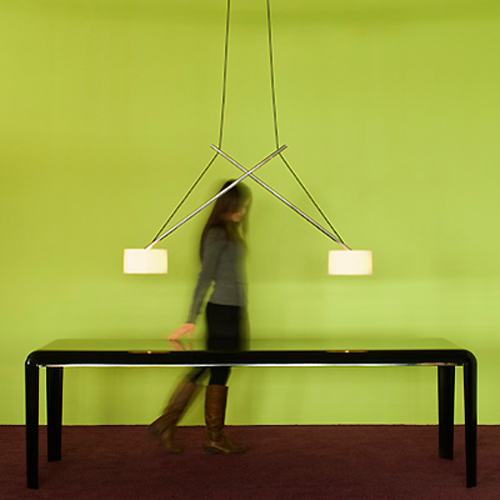 If you are looking for above the table lighting design ideas, check out this cable lamp, Twin by Serien. Made of chromed aluminum and white polycarbonate shades, this versatile lamp will fit perfectly above dining or kitchen table, or even above the pool table in your designer homes. However, it is designed to be used as a table-illuminating lamp. Twin provides direct task lighting while diffusing light from all sides for some subtle ambient lighting. The lamp arms are connected by a joint, which allows for the lamps to be positioned at a variety of different distances from each other. Serien claims this is extremely helpful not only for the right visual look, but also for practical matters like making space for a tall centerpiece or an enormous bouquet of flowers. Visit Serien to find out more about interior decoration, interior design and other home decor products.